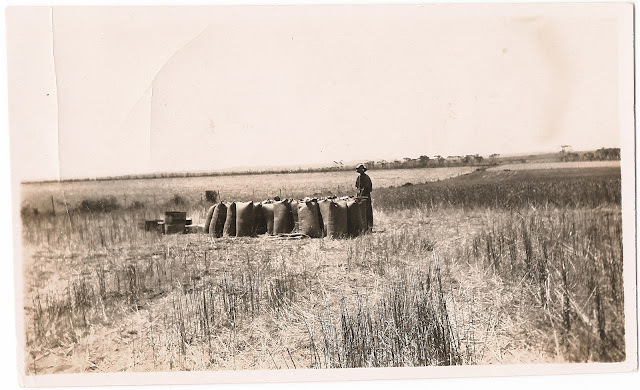 After being harvested wheat was emptied into bags, or cornsacks. These often accumulated in the paddock before being manually lifted onto a truck and carted to the nearest railway siding. The bags of wheat were then manually taken off the truck and added to the wheat stack at the siding. 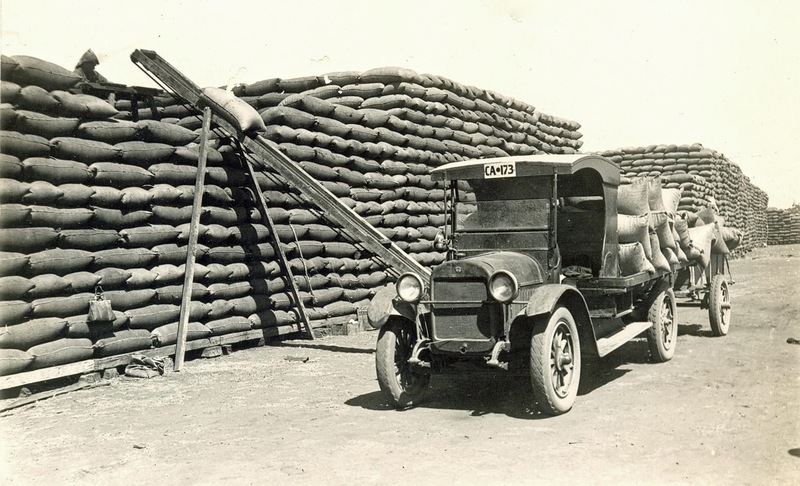 Prior to trucks the wheat was carted with horses. The alternative was bulk wheat handling - the way in which wheat is handled today. Instead of being stacked up in bags the wheat is stored and handled in a bulkhead, wheat bin or silo. The bulk handling of wheat was first raised in Carnamah at a meeting of farmers from throughout the North Midlands on 14 July 1932. The meeting had been organised by Carnamah farmer John Bowman to explain the merits of a proposed co-operative bulk handling scheme. Two men from the WA Wheat Pool addressed the very large attendance. Another meeting was convened in Carnamah by Ivan Johnson in 1933 however neither led to any action. Two years later, on 8 April 1935, John Bowman convened a meeting in Carnamah to again discuss the matter and ascertain the level of local support. It was put forward that bulk handling would result in lower costs and would eventually be owned by the farmers. William J. Pethick of Winchester put forward a motion that the meeting be in favour of bulk handling, which was seconded by Howard H. Chappel, also of Winchester. The motion received unanimous support from those present. The meeting led to the formation of the North Midlands Bulk Handing Deputation, which gathered signatures for a petition to request that sidings on the Midland Railway line be equipped with bulk handling facilities. John Bowman held additional meetings in other districts along the Midland Railway line to gather support and signatures. The deputation was headed by John Bowman in addition to William J. Pethick of Winchester, James K. Forrester of Carnamah, Albert E. P. Bateman of Three Springs and George G. D. Ferrier representing Yandanooka-Mingenew. The deputation travelled to Perth and interviewed the Midland Railway Company’s general manager Joseph J. Poynton on 16 August 1935. The only real outcome of the deputation was that the Midland Railway Company was unable to provide bulk handling facilities for the 1935 harvest, and it was advised that farmers purchase cornsacks for the harvest. By mid 1936 no progress had been made and the reluctant Midland Railway Company said they would charge 1/6 per ton above Government freight charges for bulk wheat handling. 200 farmers from Moora through to Mingenew attended a meeting at the Carnamah Hall on 31 July 1936 and after a lengthy discussion proposed a more favourable solution – 1/6 per ton above existing charges but reducible by ½d. per 1,000 tons after 30,000 tons per railway siding. John Bowman of Carnamah, Kenneth E. Jones of Waddy Forest and William J. Pethick of Winchester interviewed Joseph J. Poynton who accepted their proposition. The Midland Railway Company then authorised the establishment of bulk handling facilities at eight railway sidings between Marchagee and Mingenew. The Company contacted Co-operative Bulk Handling Ltd, who in August 1936 began the construction of facilities. 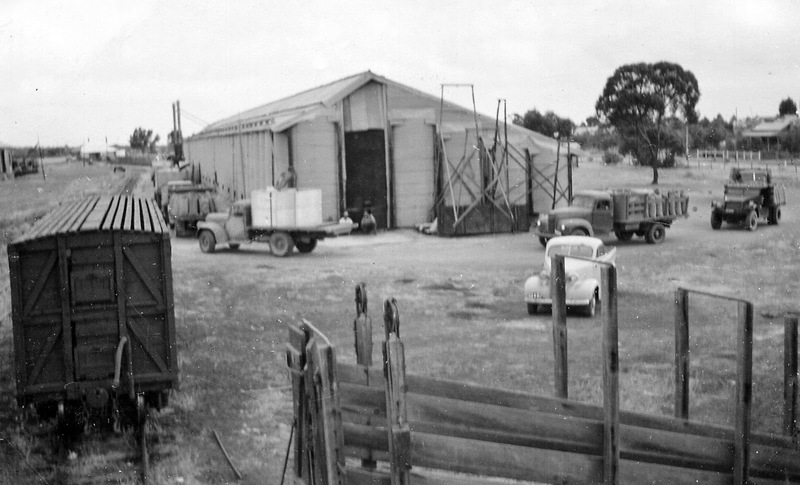 Four gangs of men worked constructing the bins – one laying concrete, another cutting timber, a third erecting the bins and the last completing the floor. By mid October the bins at Marchagee, Coorow and Winchester required only finishing touches. The Carnamah bin had a capacity of 200,000 bushels, was one of the largest in the State, and was erected in the record time of about a fortnight. Due to space constraints two smaller bins were built at Coorow, however jointly they had a slightly larger capacity than Carnamah. The construction gang gave a free Community Concert inside the Carnamah bin on 25 October 1936, which was attended by approximately 230 people. Following the National Anthem the concert consisted of community songs, dialogues, duets and solo items. Electric lighting was provided free of charge by Thomas H. Parkin and seats were loaned by the Carnamah Hotel and the Carnamah District Road Board. 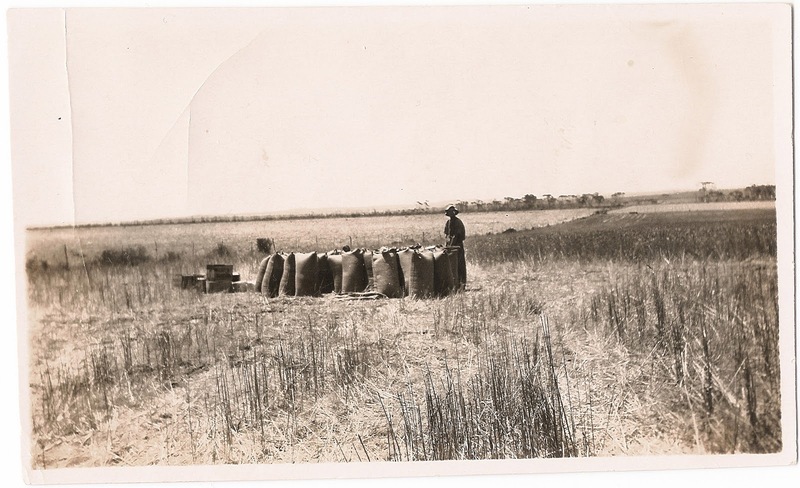 The wheat bin in Carnamah was officially opened by John Bowman on Monday morning 9 November 1936. Residents from throughout the Carnamah townsite and district attended the auspicious occasion to see the first wheat delivery. James K. Forrester, Chairman of the Carnamah District Road Board, credited John Bowman as being largely responsible for getting the bin installed and called upon him to tip the first wheat into the elevator bin. Lionel O. Ferguson of Carnamah operated the elevator of the bin during its first season. 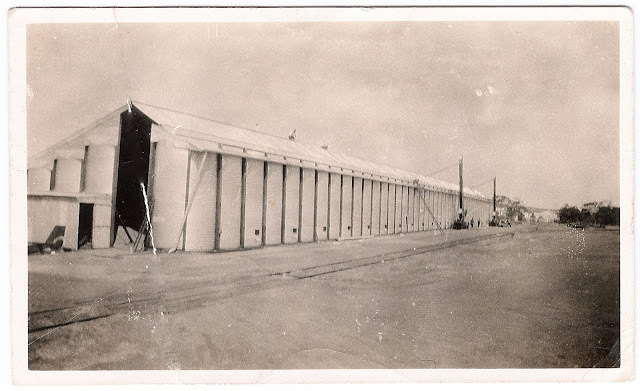 By 21 November 1936 the bin had been quarter filled with approximately 50,000 bushels of wheat.